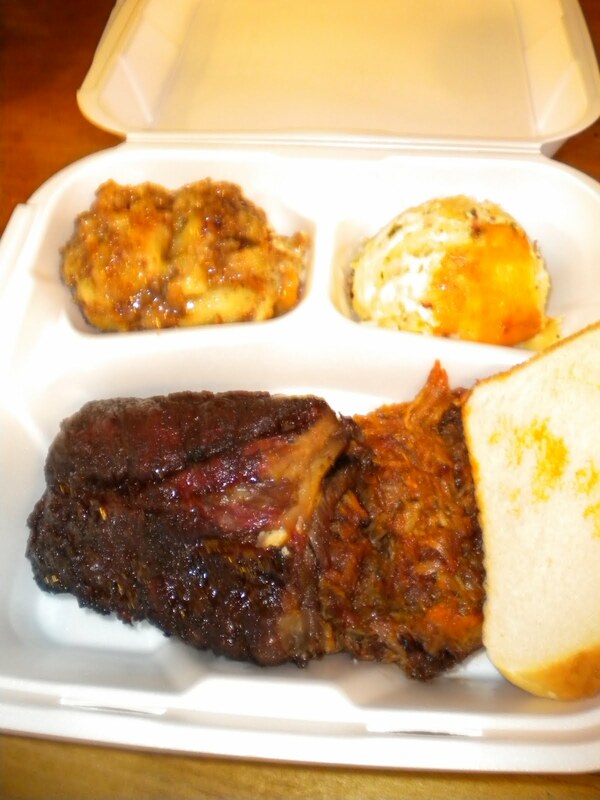 Ribs and pulled pork with bread pudding and mac & cheese. We recently discovered a great place to stop on the way to/from North Carolina - it's Stonewall's, a tasty BBQ restaurant located just off 85 at Exit 129 in Braselton, Georgia. Upon entering the restaurant you order at the counter before choosing a table. The owner let us sample just about everything before deciding on ribs, pulled pork and wings. YUM. Everything was great, especially the Brunswick stew (not pictured) and the bread pudding - offered as a side dish - and the ribs. We will definitely be visiting this place again soon! 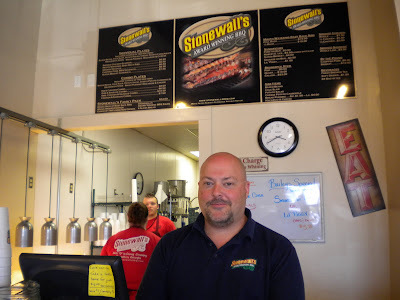 Owner Ronnie Jones will serve you up some awesome 'cue with a smile!